Blockchain company Coinigy, a provider of digital currency trading tools, said it has raised a seed round of $400,000 from one angel investor. “Coinigy offers a one-stop trading platform for digital currency traders. Digital currencies circulate independent of a central bank and use encryption techniques to regulate the generation of units and verify the transfer of funds. The company has revenue and nearly 400 paying users,” said Derek Urben, head of business development. Coinigy, which is based in Milwaukee, will use the funding to further develop its trading platform, Urben added. 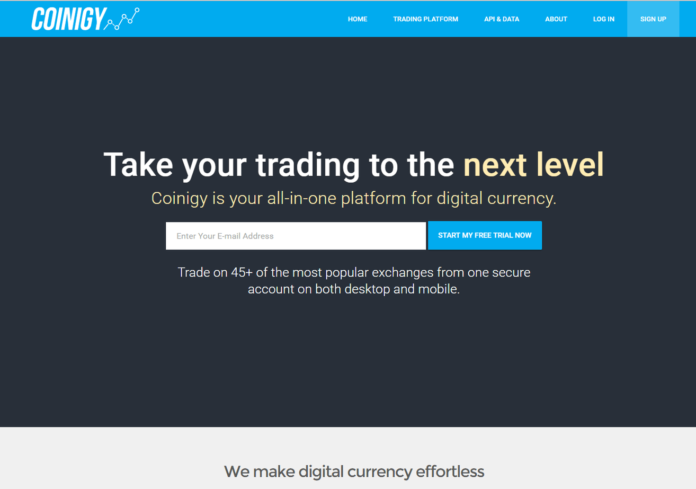 Coinigy provides currency traders, individuals, and companies with software tools, a unique database, and services that help them trade digital currency and other digital assets. It aggregates trading and historical data, news feeds and other information from about 50 exchanges around the world to help investors can do things like bet on the price of Bitcoin or trade gold in Ether, the currency at the heart of the Ethereum platform launched earlier this year. Coinigy was founded in 2014 by Robert Borden, its chief executive officer, and William Kehl, its president. Both have computer science technology backgrounds. The company earlier this year won the University of Wisconsin-Milwaukee’s 2016 La Macchia New Venture Business Plan Competiton and an $8,000 first prize in March.